You'll be £19.99 closer to your next £10.00 credit when you purchase Surviving Bomber Aircraft of World War Two. What's this? This is a guide to the existing WWII aircraft in aviation museums throughout the world. Each double page spread contains a colour photo of an example of the aircraft as viewed in an aviation museum, examples of different marks (wartime shots in mono) and a textual resume of the type with statistics. The aircraft can be viewed in the USA, UK, France, Czechoslovakia, USSR, Canada, Australia, Finland, Holland, Poland, Germany, Italy, Japan, Sweden and Spain. This is a definitive guide to the different aircraft in aviation museums throughout the world and contains full colour images of the different bomber aircraft. Where are they now, the bombers that returned home? This book points you in the right direction and tells you something about them. More than just a museum guide, this book is also a mini history of each of the aircraft it presents. Both Allied and Axis aircraft are considered. Each double page spread contains a colour photograph of an example of the aircraft as viewed in an aviation museum, examples of different versions (marks) of the aircraft (often in wartime photos) and a textual description of the type with statistical data. The book can help and aid when visiting museum and it is a fascinating record for aviation enthusiasts. Aircraft and their histories have always fascinated the public and aviation museums are highly popular. 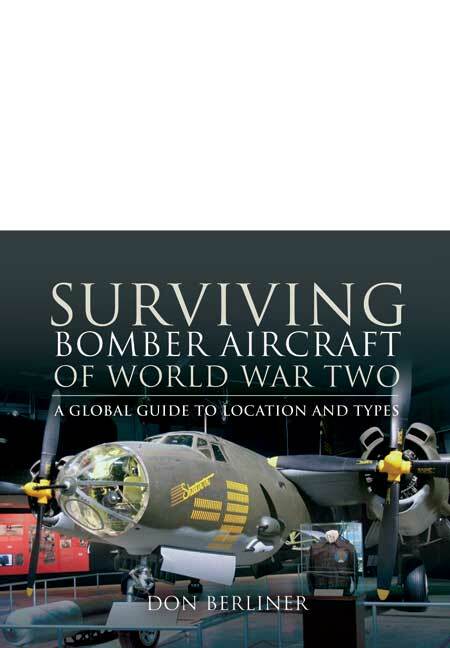 The aircraft of the Second World War are extremely so and this book serves as an excellent guide to those few ‘bombers’ that have survived. It is an exceptional book and one can spend many very enjoyable hours reading its contents. Don Berliner lives in Alexandra, USA. He is a journalist and the author of 28 books, mostly concerning aviation.